The International Taste & Quality Institute recognises the quality of our premium water, to which a panel of international experts assigned a rating of higher than 90%. 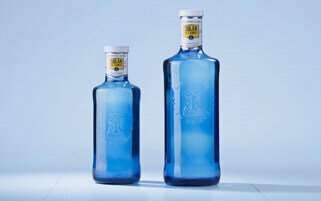 Solán de Cabras received three stars, the highest distinction the jury can award, for the exceptional qualities of its premium water, which were verified in a series of blind tastings. Each year the International Taste & Quality Institute gives out the Superior Taste Awards to recognise the products with the best organoleptic characteristics on the market. To do so, it forms a jury of experts that can include sommeliers and professional tasters from across Europe. 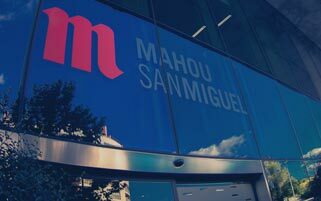 In the 2016 edition, Solán de Cabras received one of the highest awards of the year, thanks, according to the jury, to the “exceptional” characteristics of the premium water brand from Mahou San Miguel, a 100% Spanish, family-owned company. In fact, Solán de Cabras obtained the highest rating possible for these awards: three stars, which recognise only products that score higher than 90%. The International Taste & Quality Institute is made up of some of the most prestigious gastronomic organisations in Europe, including associations of chefs, culinary schools and sommeliers from many countries of the European Union. In fact, the Superior Taste Award is the only flavour quality seal granted by opinion leaders, chefs and sommeliers with Michelin stars. In fact, the members of the International Taste & Quality jury are members of associations like the Maîtres Cuisiniers de France, the Académie Culinaire de France, the Academy of Culinary Arts, Euro-Toques, the Federazione Italiana Cuochi, the Nordic Chefs Association, the Federación de Cocineros de España (Facyre), the World Master Chefs Society, the Verband der Köche Deutschlands, and the Association de la Sommellerie Internationale (ASI) for beverages. To evaluate the products, the members of the Superior Taste Awards jury undertake blind tastings of each of them, subjecting them to a very rigorous process of sensory analysis. Additionally, the judging is conducted as if the jury members were tasting the products in a family setting, to make the experience of the tasters as similar as possible to that of consumers at home. And, they take into account various reference criteria related to smell, appearance, flavour, texture and mouth-feel, aspects that are examined minutely by the members of the jury. They also write comments and, when necessary, provide suggestions for improving the product. Following the tastings, the International Taste & Quality Institute issues a graph detailing the different ratings and synthesising the comments and suggestions made by the jury to the participating companies. The ceremony for the Superior Taste Awards will be held on 2 June 2017, at the Cercle Royal Gaulois in Brussels, and will be attended by the winners as well as some of the most representative palates of the Old Continent.